As the A.O. 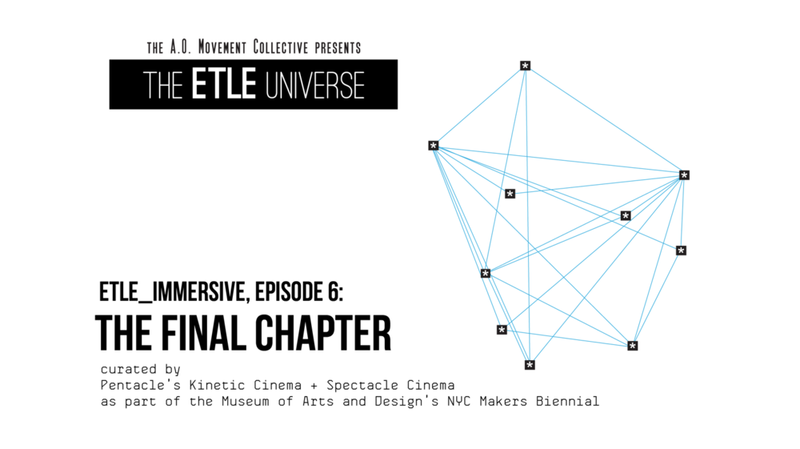 Movement Collective continued their search for curators, they launched the first work of the Universe, the ETLE_immersive: a 6-episode interactive multiplayer game. Designed by collaborators Sarah A.O. Rosner, Matt Romein, Keith Carlon, Brian McGaw, and Alison Batten, the immersive launched in April 2014, and ended up spanning 5 months, culminating in August 2014. The ETLE_immersive spanned a wide range of media including websites, SMS messaging, dating sites, the US Postal Service, and IRL gameplay. More on the ETLE_immersive can be found here, and is detailed by Posture Magazine's coverage of the project. Through the ETLE_immersive and corresponding events below, the AOMC continued to develop the cannon of the ETLE Universe. This creative process (carried out by a team of collaborators approaching 50+ and at that point still growing) inspired a working method of equal agency and authorship among collaborators. Any idea proposed by an ETLE universe collaborator became cannon, even and especially when it created variance or contradiction from existing cannon, creating a mutliplous and queerly-structured narrative that played out across a Universe with multiple, branching realities. Moreover, rather than each work describing a pre-existing narrative, the narrative of the ETLE Universe became about how each collaborator's work further revealed ETLE's plans--meaning that each of the 60 artists were not making work about the ETLE Universe, so much as revealing our shared impending prophetic future through the process of making works about that future being revealed to them. The project, already massive, continued to grow, deepen, and twist in on itself. To be able to speak or write about the project necessitated first dismantling and then restructuring language, logic, and time to encompass the project's queerly chronomultiplous perspective and feminist valuation of the unknown. It seemed that other forces were driving the work's momentum. Things began to get very, very complex. 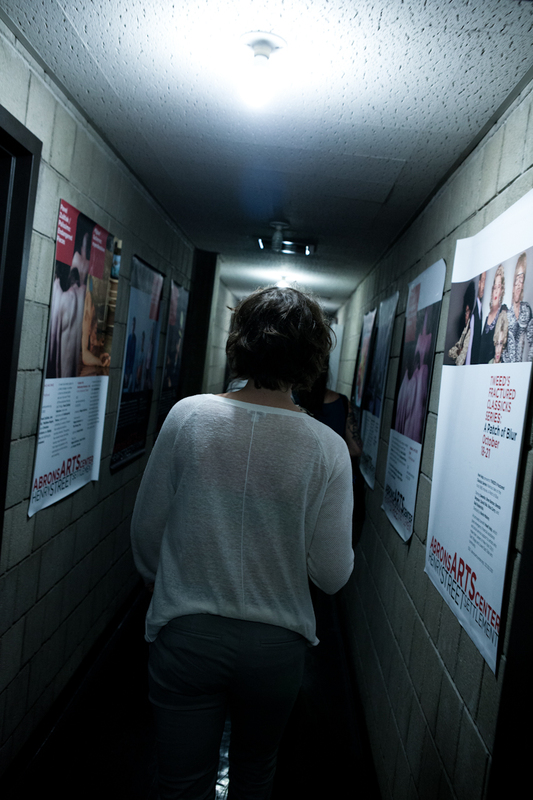 The AOMC's two performances at Abrons Arts Center served as culminating points for episodes of the ETLE_immersive in May (Episode 3) and June (Episode 4) 2014. The Episode 3 event was masked as a music show for collaborator Idgy Dean to share her in-process material for the ETLE Universe, featuring a performance by the AOMC of their "future touch" score. By following instructions given during previous gameplay, players (or "drifters" as they were called in the game) could procure a special ring (a preview one of the conspiracy wearables later created by Jeff Poulin) during the show, which they could use to gain access to a secret performance--an "Advanced Absence Preparedness Response" course in which they could learn about a future epidemic called "The Absence." 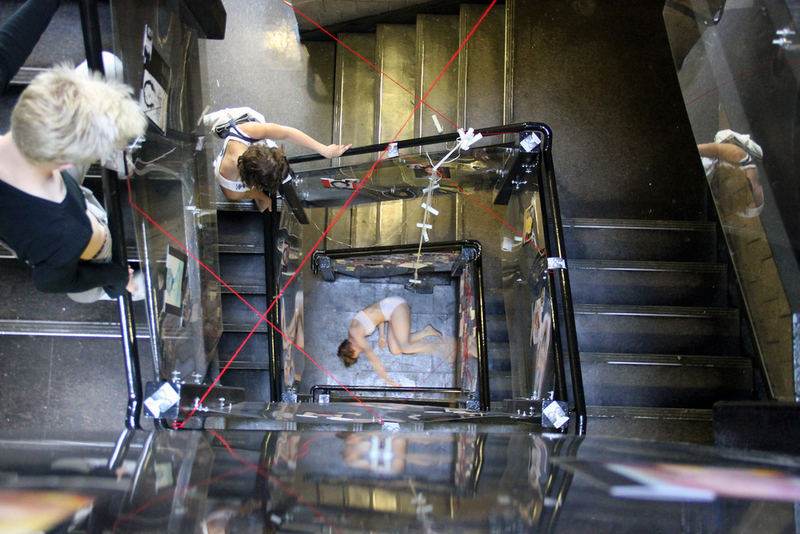 The Episode 4 event was billed as a party for performance group ROVE, as a culmination of their residency at the Roger Smith Hotel. During the party, groups of guests were invited to ingest shots of Etlogen, an experimental future hormone, and were then transported to a crucial moment in the future--the rebel THIC's first successful hack of the FATH Company's Reality Intensification Binder (or RIB). At both events, partygoers could stumble upon artifacts from the ETLE_immersive that would lead them to continued gameplay. 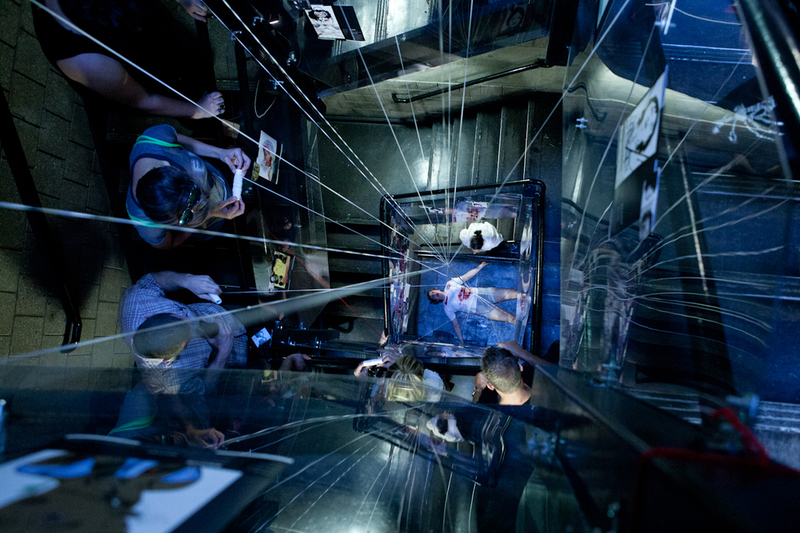 The ETLE_immersive culminated at a Kinetic Cinema event as part of the Museum of Arts and Design's NYC Makers Biennial in August 2014. 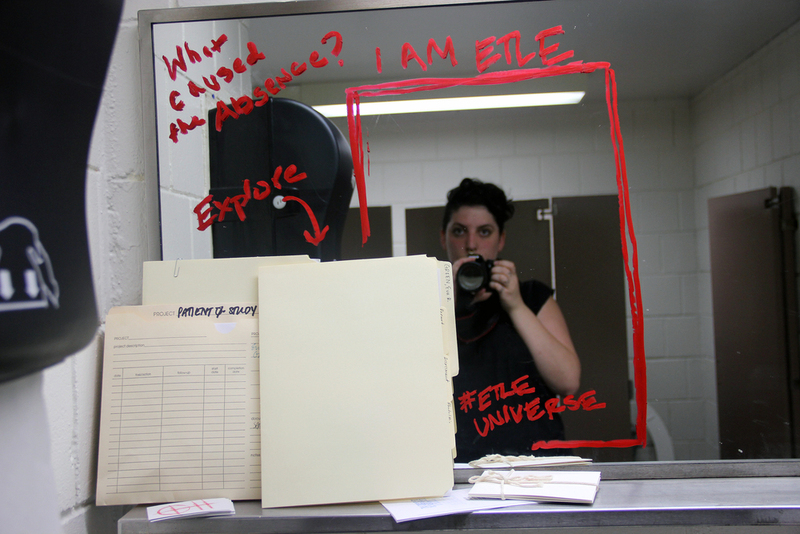 The event featured ETLE Universe creator Sarah A.O. Rosner delivering a presentation detailing the the ETLE_immersive that wavered between lecture, performance, and interactive gameplay. As with the ETLE Universe's Launch party, ETLE once again hacked into the performance, tipping the reality of the project and her future further into being.